Note: Visit the Egypt Solidarity Initiative website for resources on the #noprotestlaw campaign, including a list of Egyptian embassies to write about these arrests. Other important links are at the bottom of this post. 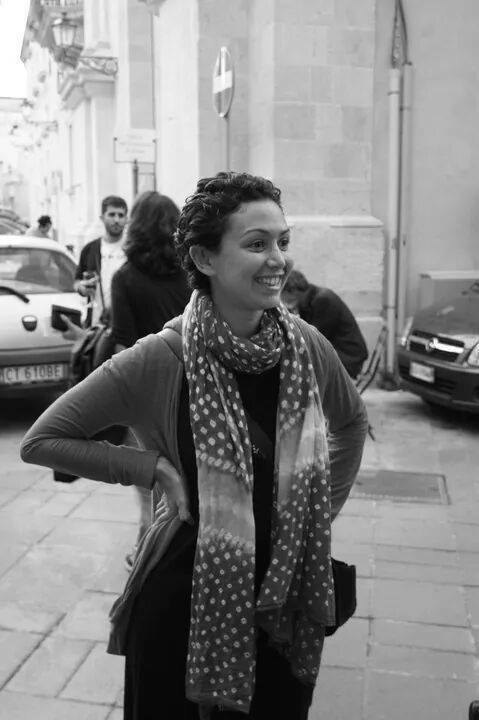 Yara Sallam is a human rights activist and a women’s rights activist. She is also a feminist. The distinction may seem captious, but I am careful to draw it. Rights activists (of whom I’m one) want to change the rules of the world. Feminists want to change the world itself, its deep structures of power; to have new players in a new game, on a different, still dormant field. The rules are bad; the game as we play it now is stacked against almost everybody except those who keep the score; to instill some modicum of fair play is essential. Yet nobody with much of a mind who’s worked in human rights for long escapes feeling this is palliative, a tinkering with superficies, and that however impossible a deeper change may be, the labor cannot carry on without a tinge of the impossibility that inhabits only our anger and our dreams. Why are we addicted to the game we are losing? “The roulette table pays nobody except him that keeps it,” Bernard Shaw wrote. “Nevertheless, a passion for gambling is common, though a passion for keeping roulette tables is unknown.” Check how the ball is weighted, calibrate the points. But in the long run someone also has to say: break the wheel, step away from the table, stop the game. Yara is a friend, and she is under arrest tonight, in the Heliopolis police station in Cairo. 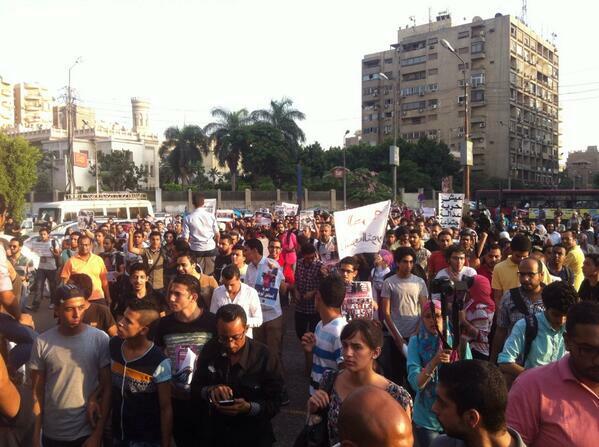 June 21 was an international day of solidarity against Egypt’s anti-protest law. The law — a decree introduced in November — clamps draconian punishments on demonstrations, including prison terms of 2-5 years for anyone “calling for disrupting public interests,” that is, criticizing the state. It was meant to bolster the rule of the military counter-revolution by choking the rich protest culture that grew up in Egypt after February 2011. Two days after the law was promulgated, activist Alaa Abd el-Fattah joined a demonstration against military trials for civilians. 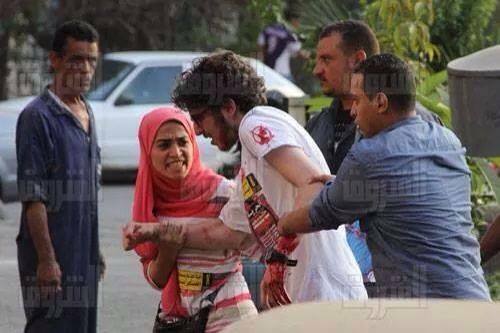 Two days after that, police broke down his door, slapped his wife, and arrested him for violating the protest law. This month, a court handed him and other defendants 15-year prison terms. Last month, another judge gave Mahienour el-Massry, a well-known rights lawyer, and eight others two-year sentences for demonstrating against the torture and murder of Khaled Said — a victim of Mubarak’s police whose killing helped spark the 2011 revolution. “The military authority stands now on the remains of its opposition,” a dissident said. 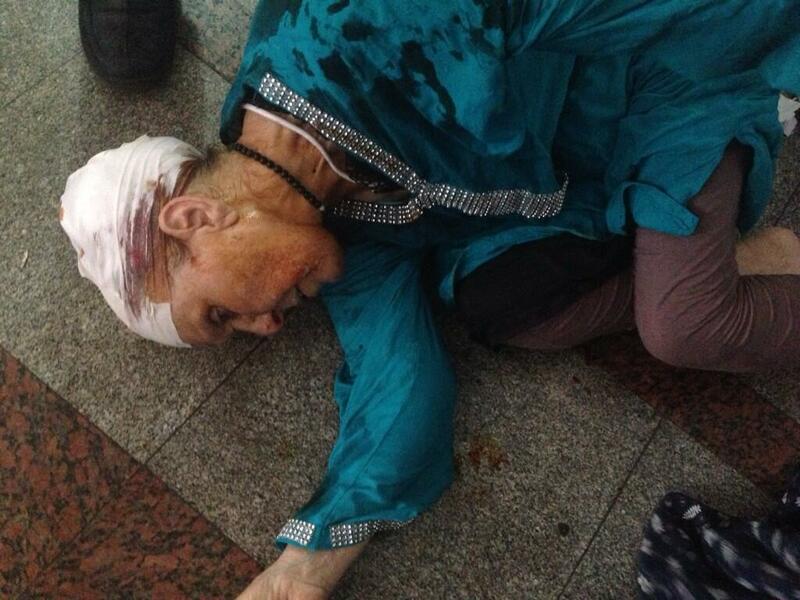 June 21 was meant to show support for the victims of Egypt’s new, systematic oppression of dissent. 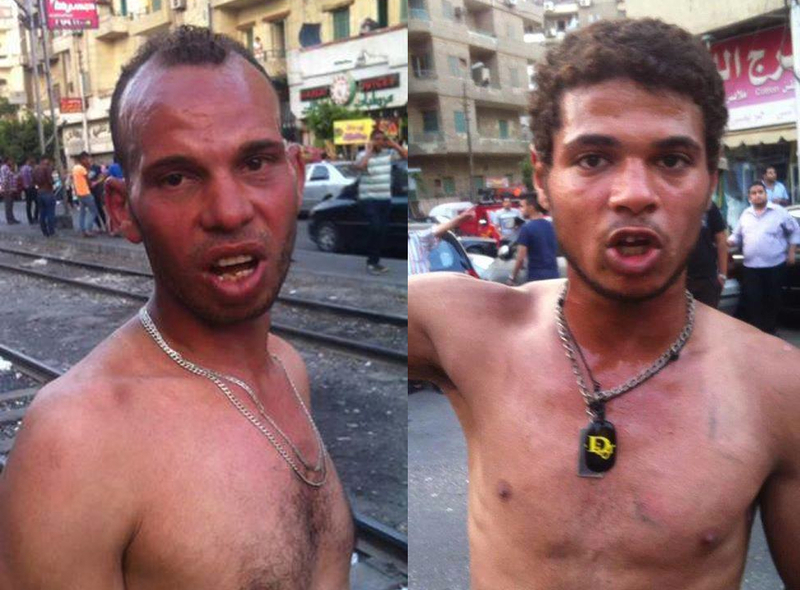 We were attacked by thugs who beat us with broken glass bottles and stones. Then suddenly they disappeared and instantaneously the state security forces appeared and started firing tear gas and “sound guns” … I saw a police officer directing the thugs with my own eyes, so they [would] stall the protesters till state security cars could make their way to them. When the police and people with them started throwing glass bottles and tear gas at us, I couldn’t run and hid behind a tree! One of them found me, and started threatening me with a strange knife, so I ran and jumped into a ground floor balcony in a nearby building. Two other boys and four girls joined me, and they started crying hysterically. I tried to calm them down because the man with the knife had seen us. He was stalled as protestors started throwing stones at him, so we all ran from the balcony to the street and started chanting ” police are pigs”! They then shot tear gas canisters at us and as we ran, we were chased by a huge man with a big stick.I managed to make it into a building to hide … This is how they treat demonstrations in Egypt because we asked for #noprotestlaw. 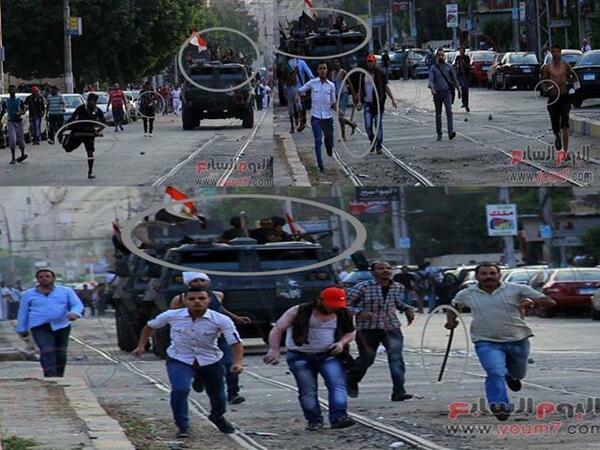 Security forces seize Omar Morsi at the march. Salwa Mehrez, left, was also arrested because she refused to leave him. The first time I read about feminism as a theory was in 2010 while I was doing my master’s degree, but I didn’t need to read the theories and the books to practice feminism. I was lucky to be raised in a leftist family that believes in equality between men and women, and applies these values. My mother is, by anyone’s definition, indeed a feminist, but still refuses to call herself one because of the negative connotations associated with who is a “feminist” and whether this implies an aggression toward men. For me, growing up seeing a strong woman like my mother, who fought her own battles bravely in the public sphere, struggled while growing up, takes strong stands in her personal life despite social stigmas, is what inspired me and made me the feminist I am today. She taught me about feminism in her day-to-day struggle, and I will be grateful for her all my life. I know her family is desperately worried for her as she sits caged in a cell. Their fears run like rainwater into a pool of fear. They join the fear that families of Muslim Brotherhood supporters felt after thousands were slaughtered in Rabaa or dozens in Abu Zabaal. The tears of the secular and of the religious are equally salt. Having massacred and suppressed Islamists, a government determined to cement its power increasingly turns its gaze upon the remaining liberals and the revolutionary young. 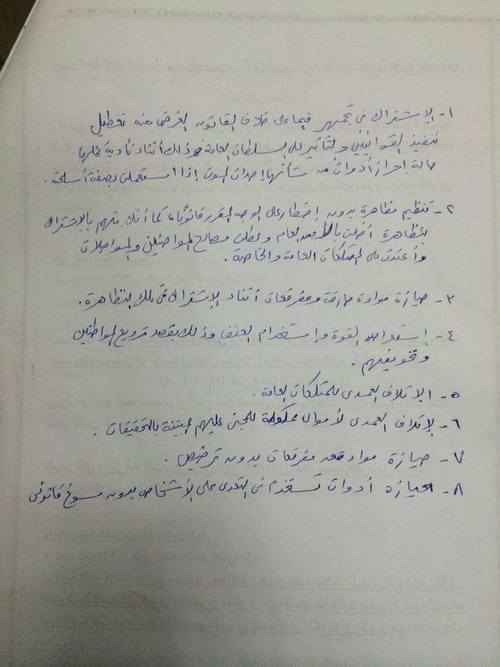 A few days before Yara’s arrest, the Egyptian Initiative for Personal Rights released a report she had taken the lead in researching: an investigation of state responsibility for the rampant killings in the summer of 2013. I think that the Secretary is going to make clear that we want to be as supportive as possible of Egypt’s transition … [There is a] recognition that Egypt has been going through a very difficult transition. There’s a strong desire on the part of the United States for this transition to succeed. Egypt is a strategic partner and we have a longstanding relationship with Egypt. It’s a partnership that’s based on shared interest, strategic interest. It was a great festival of making-clear. “Egypt and its people have made clear their demands for dignity, justice and for political and economic opportunity,” Kerry said. “They just had a historic election for president.” Indeed: Egypt has seen three contested polls for president in its history. In 2005, Mubarak triumphed; in 2012, Morsi narrowly won; and then there’s Sisi’s landslide. This democratic avalanche is the first where the winner gave himself more than 95% of the vote. Truly historic! Even Mubarak’s faked ascension showed more modesty. 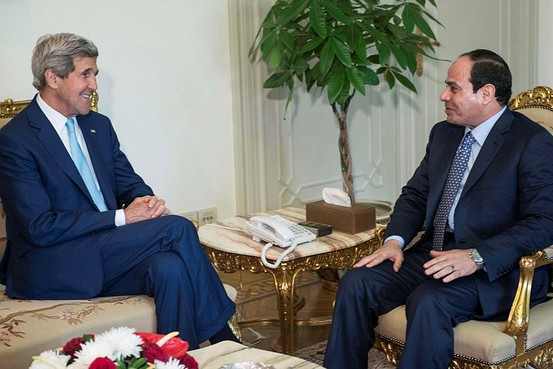 Kerry came to Egypt disguised as a diplomat, but acting like a criminal accomplice. The United States colludes with murder. (The same day Yara was jailed, an Egyptian court confirmed mass death sentences on the leader of the Muslim Brotherhood and 182 supporters — gleefully envisioning the execution of the political force that won Egypt’s only free elections, ever.) The Obama administration has policies of a sort on human rights; but they are not about change. They are about keeping the misery inconspicuous. At best where our most suasible allies are concerned, they envision a slight tinkering with the rules of repression to make the violence palatable. But the United States will keep furnishing the means of murder to its friends. The Apaches are coming. 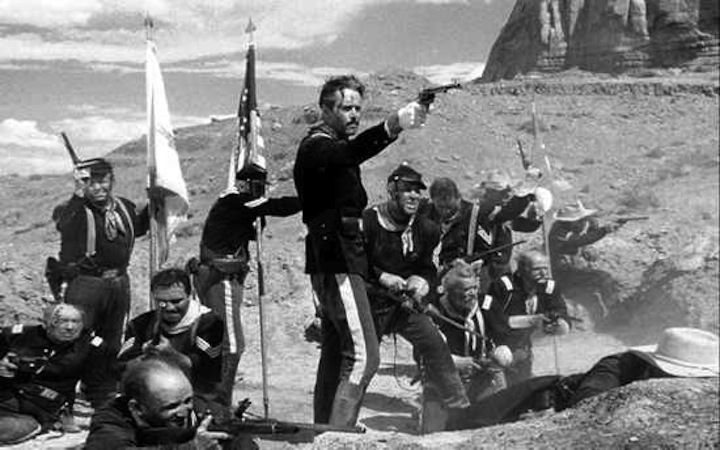 Boys will be boys, III: These days the Apaches are the cavalry. And they’re both on the way. You can see this everywhere. Two days before Yara’s arrest, under pressure from homebound constituencies, the Obama administration announced punitive measures against Uganda’s government for passing the horrific Anti-Homosexuality Bill. These included visa bans on the worst offenders — good — and some adjustments to humanitarian aid, more carefully targeted than most observers expected. Oh, yes, and there was a slight change in the US’s intimate military relationship with Museveni’s dictatorship. “We have also cancelled plans to conduct the Department of Defense’s Africa Partnership Flight exercise in Uganda. This was intended to be a United States African Command (AFRICOM)-sponsored aviation exercise with other East African partners.” Tremble, puny generals! But the rest of the massive military support the US provides Museveni remained untouched. The means of killing that Obama gives the dictator are literally incalculable: just try to come up with a solid dollar figure. The regime is usefully repressive. So long as it’s stable, it remains a pillar in AFRICOM’s efforts to fight back terrorism in East Africa, and retain American hegemony over the region’s resources, including a growing likelihood of lots of oil. Never mind that those arms and military expertise go to kill thousands in Uganda’s north, and are the key props of the same government that arrests lesbians, and gays, and trans people. The Apaches will keep coming — at least, till somebody says: Stop the game. “The U.S. government is mindful of the wide range of issues encompassed by our relationship with Uganda,” the administration’s statement said, including “a partnership that advances our security interests in the region.” American gays applauded Obama’s service to human rights. Wasn’t it proof that LGBT rights can actually coexist with America’s “security interests” in seeing people killed? The Human RIghts Campaign said Obama had “put all world leaders on notice.” He’d affirmed his “deep commitment to advancing the human rights of all people,” etcetera. Then everybody got ready to go to the White House and shake Obama’s hand. But you should be careful shaking the hands of those who shake the hands of killers. Blood rubs off. Visit the Egypt Solidarity Initiative website for resources on the #noprotestlaw campaign, including a list of Egyptian embassies to write about the detentions, as well as images, placards, and other materials. A June 22 statement on Yara Sallam and other women human rights defenders arrested in the protest, from Nazra for Feminist Studies, is here. A June 23 press release from the Egyptian Initiative for Personal Rights and 11 other groups is here. Visit egyptprotests2014.tumblr.com for updates about the detainees, further protests, and the law itself.